event in London in the 1960s. Udeaja, TOS Benson, unknown, Emeka Ojukwu, Wole Soyinka. 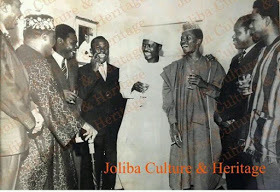 0 Response to "Throwback Photo Of Obasanjo, Ojukwu, Wole Soyinka In London In 1960"